Next -> Head towards Swiss Alps . Day 1 : Munich and More. We took a overnight flight from Boston and hence landed in Munich as early as 9 am. Since this was a road trip we picked our car from Munich International airport. Note : It remains really crowded specially at car rentals no the airport. Leave about 1 to 2 hrs margin before you head out of the airport. From Munich airport head straight to the Munich Center. Allow yourself a day to explore the rich Bavarian history of Munich. There somethings that you must include in your must sees list for Munich – visit Dachau Concentration Camp, stroll or bicycle through the Englisch Garden, have beer at one of the many beer halls (Hofbrauhaus is the most famous), see Marienplatz (the main town square. Once hitting all the main stops in Munich , drive to Berchenstagen. Berchenstagen is about 2 hrs east of Munich near to Austrian border. You can enjoy a beautiful sunrise at lake Hintersee . Once you are done with breakfast head to Eagles Nest. Give yourself 3-4 hours to enjoy this place . Keep in mind that you cannot take car to the mountain top . You will need to put Hintereck parking area at Obersalzberg for your GPS . Park your car here and take bus to Eagles Nest . Bus Ticket to and fro along with elevator ride costs about 16.50 Euro for adults and about 10 Euro for children. If you are in mood to hike , you can hike to the mountain top too , it takes about 3 hours and is totally free 😊. Note : The first bus runs at 07:40 a.m. and the last one leaves the Eagle’s Nest at 4:00 p.m. . You will need parking fees in cash as the machines only take the coins – No notes no card. You can find more details here . End your day by chasing waterfalls in Wimbachklam . It is a quick boardwalk hike of about 1.2 miles along a gorge which has been formed by the river Wimbach. Here again you will need cash for parking fees ( 2 Euro) and entry to the gorge ( 4.50 Euro) . Once you are done , enjoy great bavarian food at the hut “Wimbachschloss”. A visit to Berchtesgaden is incomplete without a tour of Lake Konsignee. The King’s Lake (Königssee) is one of the most majestic places in Europe. It is an angelic emerald fjord lined by powerful Alpine mountains that never fails to wow its visitors. Nestled in a valley between the Jenner, Hagen, and Watzmann Mountains, Königssee is Bavaria’s deepest lake at 630 feet deep. The full ferry route to the end of the lake and back takes 2 hours. 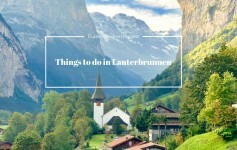 You will have the option to either go till Lake Obersee or return from Saint Bartholomä Church. Note : Round Trip Ferry Cost: Adults 16.90€; Children 8.50. Fare is cheaper if you do the half tour only to St. Bartholomä and skip the Salet/Obersee Stop. Once you are done , its time to say good-bye to Berchenstagen and head towards Garmisch-Partenkirchen. It will take about 2.5 hours to reach the village and if you have time explore the town , the little barns , the beautiful houses and most importantly visit the Olympic Village. Garmisch will be your home base for a couple of days now. Today is the day of high peaks and colorful towns. First stop will me Mount Zugspitz which is easily a half day trip. You will want to start your day early , as early as 8 am. While you can definitely visit this mountain top from German side , I will advise to do it from Austrian side for 2 reasons . 1) The price of the cable car from the Austrian side is less compared to German side. 2) The whole experience is less crowded. Note : More on how to visit Mount Zugspitz will be coming up on the blog soon. Since you will already be on Austrian side , drive further and enjoy the picturesque town of Innsbruck. There is plenty to do and see in this town. The old town of Innsbruck is perfect to enjoy a local cold beer and some amazing food. From Garmisch-Partenkirchen take one hour drive to Neuschwanstein. Am I sounding repetitive advising you guys to leave early 😛 . So here it goes – plan on leaving your hotel at least an hour and a half before opening time. Arriving early lets you purchase your tickets into the castle for the first tour of the day. It’s a quick tour and in less than an hour you will be free to explore the grounds around the castle. Even if you do not want to take tour of castle from inside , head straight to Mary’s Bridge. The iconic bridge from where you will get your postcard worthy photo. Note : You will have to park your car in one of the four parking lots and then take the bus to the castle. You can also hike up – it will take about 30 – 45 mins to hike up the castle. Once you are done head to the beautiful town of Fussen. Old town of Fussen is car – free , so you can walk around freely and enjoy the whole fun-foody colorful vibe of the town. So yes needless to say , 5 days went by way too soon. For once , the vegetarian in me was really happy as I had plenty of choices and the food was really good at all the places we visited. Stay tuned for more details , tips and day itineraries in the region of Bavaria and blog posts on How to visit Zugpitse and Neuschwanstein. After spending 5 days in Bavarian Alps the transition to Swiss Alps was even more enchanting. 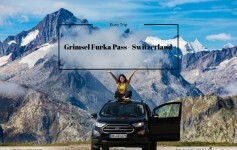 Coming up next on my blog will be my road trip itinerary through Swiss Alps. If you are planning a trip to Bavaria , I hope this itinerary comes in handy. 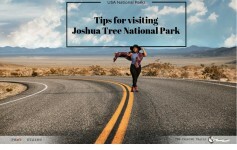 I will love to know if you have been on this road-trip and how was your experience. What was your favorite sight or destination? Thank you so much for stopping by. 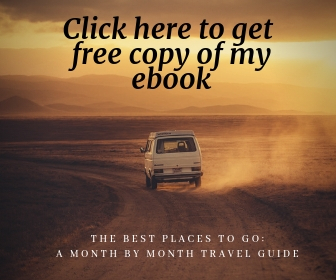 Previous Article Most frequently asked travel questions – Answered !